Playhouses are ubiquitous in a child’s life, from home to kindy. These structures are made of anything from plastic to wood. They’re also built around a variety of themes. 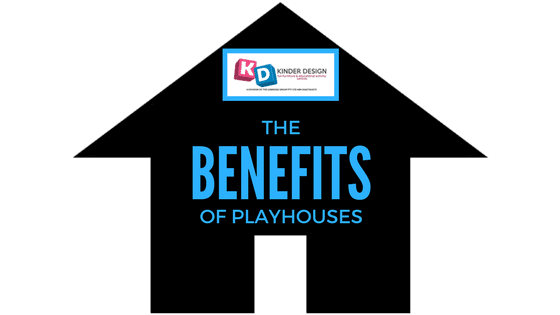 Playhouses offer benefits for kids both mentally and physically. Also known as role playing. Interactive play encourages children to act out a scenario they’ve seen or heard. For example, some kids like cooking shows or to watch what’s happening in the kitchen. They’ll want to “play restaurant”, complete with a sous chef, a couple of wait staff and daily specials! Other role-play situations include hairdressers, fire/police stations or even just old-fashioned “house play”. Playhouses let the imagination loose and the scenarios are endless. There are plenty of wellness blogs and articles telling their readers to “unplug”. Lots of people, including children, spend too much time sitting down staring at screens. This is bad for energy, eyes and posture. Making the playhouse a tech-free zone guarantees the kids are separated from any device and will use their energy creatively. This shouldn’t be such a hard task, anyway. Cubbies are so much fun that sometimes kids will forego the iPad in favour of playing in them with their friends. Playhouses are a “kids space” where they have the freedom to do what they like, provided it’s safe. It gets them away from outside influences like television and encourages them to interact with others in a safe environment. The kids can bring stuff from home to use in the playhouse, from cooking utensils to dolls. It allows them to make their own business or play happy families without growing up too fast. Memories fade as we grow older, but occasionally you’d remember a time when you played with your friends in the cubby. You might have been a police officer, a homemaker, a famous chef or even an artist. Good memories make lasting impressions. © 2017 Kinder Design. All rights reserved.